Oklahoma Living Magazine just published my article on Chisholm Trail Heritage Center. You can read the article on their website (pg. 14-15). I've been so busy tutoring that I haven't kept up with my blogs and websites. This past month, I've learned more about Biology than I ever did in school. I'm using Apologia's high school biology with a class of 9-12th graders. There are 12 students in the class - all fabulous kids, by the way! We've examined fungus, grown micro-organisms in pond water, and learned a bit of chemistry. This week, we're going to do the edible cell project just for fun! I have 19 students in Beginning Composition and 12 students in Intermediate Composition. Again, all fabulous students! There are some excellent writers in the class, and it will be fun watching them get even better. I expect a few of them will be authors one day! The other two classes I have are younger students. The first semester, I taught a Kids Can Write class for 3rd-6th graders. We've had fun scrapbooking and writing. We've learned about alliteration, metaphors, similes, and personification. This week, we will be writing letters and then scrapbooking Christmas cards and envelopes to send them in. The second half of the year will be Oklahoma History. The other class is a CSI class for 3-6th. Besides having a Broken Arrow CSI come to the class and tell them that I was telling them all the wrong stuff, it's been fun! We've learned about fingerprinting, blood spatters, blood typing, forensic anthropology, bite marks, and handwriting analysis. This week, we're going to study evidence in soil. The second half of this class will be in electronics. I never thought that after I graduated my own two kids from homeschool, I would be teaching others. But, I am so enjoying it. The kids keep me young and ON MY TOES! If you want to know more about the tutoring center where I teach, check out the Cornerstone Tutorial Center webpage. They offer one class or lots of classes for homeschoolers. Just pay for the class you want to take. We are beginning the process of starting some online classes, as well. 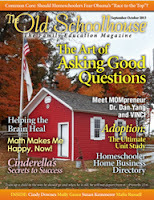 My article, Going Back to School With My Kids, was featured in the Old Schoolhouse Magazine this month. You can read it for free online. This is the last article I have written for this magazine. I have one more article coming out in December for another magazine; then I am taking a writing break. With some much of my time devoted to teaching at Cornerstone, I just can't find the time to write. Once I get my curriculum "perfected," I'll start writing for publication again. 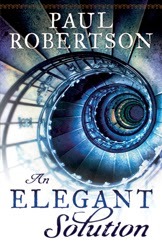 I love math and thought it would be fun to read a historical mystery set during the time of the Bernoulli family, so I requested The Elegant Solution by Paul Robertson to review. It came in the mail yesterday; and, as soon as I brought it in the house, I sat down and began to read. Now the sad part. After reading and re-reading the first chapter several times, I skipped forward through the next several chapters to see if I could get more interested a bit further in. I couldn't. No matter what I tried, I just could not get interested in this book. Although I rarely give up on a book I have agreed to review, I just couldn’t force myself to try with this one any longer. I really wanted to like it, but it is definitely not what I was looking for. For the author's sake, I hope that others will enjoy it more. Unspoken by Dee henderson was difficult to read, at first. It starts out with a lot of information about coin collecting and selling, a topic with which I have no experience and, frankly, no interest. Personally, I thought there was way too much information for the average person. However, I continued on hoping that as I got to know the characters, I would enjoy it more. I did, eventually. We first meet a mysterious woman, Charlotte, who has a huge inheritance that she wants to sell and give away and a young man named Bryce who has the expertise to do it. They go back and forth about how to sell these coins and give the money away without too much attention brought on Charlotte. Further into the book, we discover that she was the victim of a kidnapping, she has changed her identify, and she is now trying to rebuild her life. In the process, she inherits a great deal of wealth that she fears will bring attention to her and open old wounds from her kidnapping. We are not really sure why she is so fearful other than fear of the memories. Later, we discover there is more to it. No spoilers here! About mid-way into the book, I actually got interested. We learn that Charlotte blames God for not protecting her from the kidnappers, and she has lost the faith she had because she cannot understand a God who would forgive the kidnappers who hurt her. This intrigued me as I wondered how the author would answer this question. How could God allow this to happen and how could He offer forgiveness to the very ones who hurt her? I was curious to see how the book would end as this is a question that most of us have probably dealt with at one time or another. I won’t tell you the ending, but I will say I did enjoy the book even though I was a bit disappointed in how the author ended it. I still think it's a worthwhile read, and it will give everyone who reads it something to ponder about for days afterwards. I received a complimentary copy of Unspoken from Bethany House Publishers, but I was not otherwise compensated for this review. All writing, thoughts, and opinions are solely mine. If you have kids who are interested in starting a business, you won't want to miss the September-October issue of Old Schoolhouse Magazine. It's filled with helpful information AND I have an article in there! I hope you will check it out. Well, I finished the book, Rules of Murder, finally. I say finally because it took me longer than I had hoped to finish it. Rules of Murder is a good beginning to a series but it's definitely not my favorite mystery novel. I enjoyed the story for the most part; but I have to admit, there were times when I got a bit bored. I guess I'm used to a bit more action. Because it's a series, the romance never gets too far off the ground and what little suspense or excitement is in the book gets drawn out over the entire book. I was glad I finished the book, though, as I think the author will only get better from here. I did enjoy her vocabulary and her descriptions of the period. Will I read another book in the series - definitely yes. My article, Power and Wisdom, was published in the August issue of Oklahoma Living Magazine. 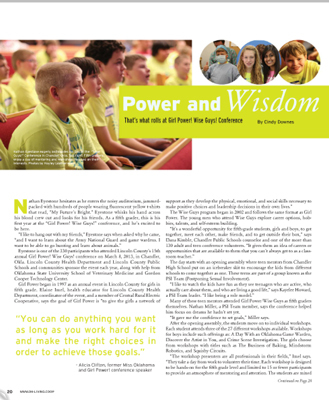 For this article, I traveled down to Chandler, OK, where they held the Girl Power/Wise Guys Conference, a one-day workshop for 5th graders in Lincoln County. It was a lot of fun watching the kids learn about all types of occupations as well as getting tips on safety. You can read the whole story on page 20 of the August 2013 issue. I just found out I have 53 signups for classes this year! This is going to be a very busy year! I start teaching next week, so I'm working hard to get ahead a bit so it won't be so bad. Keeping ahead will be a must! I ended my summer tutoring two weeks ago to give myself some time to prepare for fall. One of the things I'm doing this year for my elementary students is having them do some scrap-lap booking. They will create notebooks using some elementary scrapbooking techniques. I hope they enjoy it. I had a hard time find clip art to use for my CSI class but I finally found a scrapbooking company that sold a police set. It worked perfectly! I also have 29 composition students, so there will be a lot of reading and grading papers this year! I'm not complaining. I love these teens and enjoy helping them learn to write. New Wireless Earbuds to Try Out! 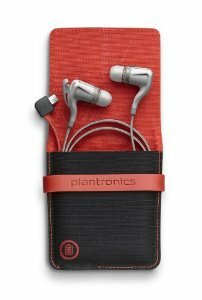 I just received a launch sample of the new BackBeat Go 2 Wireless Earbuds by Plantronics in the mail to test out! I'm especially excited that they are "sweat-proof" so I can wear them to the gym! I also like the nifty charging case. Supposedly, you get about 4 hours on the earbuds, but with the case, you can about 14! 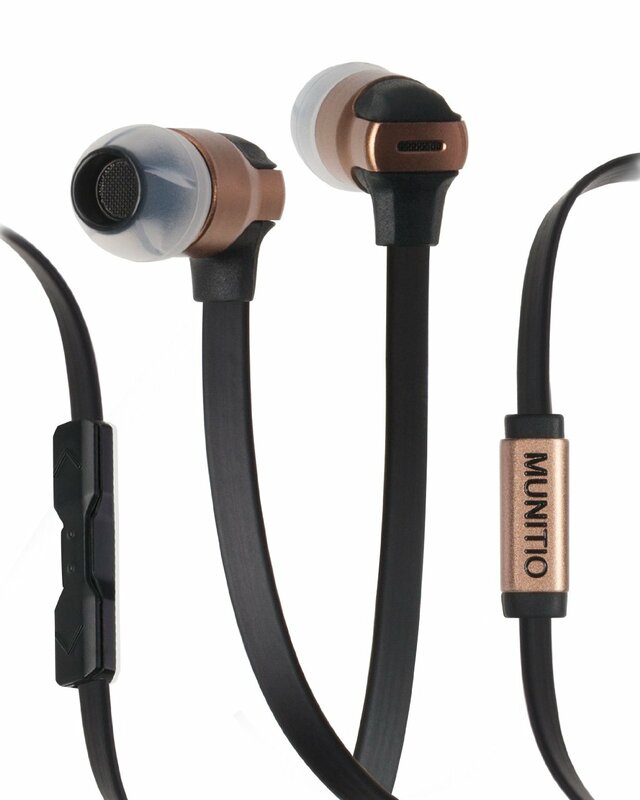 I'm also getting the Munitio Earphones to try out. These are supposed to be engineered by music industry professionals, so they should have great sound. It will be fun to compare the two. I'll write a full review after I've used them both for a while. I was going to wait to review BackBeat Go 2 after I had used it a while, but I can't wait! These headphones are awesome! First, the fit. I changed around the ear pieces and found that the smallest are perfect for my ears. With the stabilizers, I have no worries they will fall out while I exercise. I jumped around, did sit-ups, and tried to shake them out. Wouldn't happen. I'll test them at the gym later this week, but so far, these are great fit. I don't even feel them on my neck. The cord is extremely lightweight. Now for the sound, the best part. Oh my, these far surpass anything I've tried. My ultimate test is listening to Vivaldi's Concerto No. 1 in G Minor. I could hear every instrument just like I was in a concert hall. It was beautiful. Next, I tried some pop music - Best Song Ever by One Direction was popping with exceptional bass. The piano was crisp and clear in Just Give Me a Reason by Pink. I did have to turn the volume down on that one! On I went to country where I had to turn the volume down to 1/2 listening to That's my Kind of Night by Luke Bryan. Great country sound, too! Finally, I wanted to try another one of my favorite old movie tunes: May it Be with Enya. Ahhh - so beautiful and peaceful. It was like I was watching the movie. I can't say enough about the sound on these headphones. Next, I tried a phone call. This took a bit of getting used to. I felt like I was talking in a tunnel because I couldn't hear myself that well. The other party heard me fine and I heard him fine, too; but I kept wanting to talk louder because of the "tunnel" effect. I think because they block out noises, it's harder to hear yourself. OK, I'm back listening to Enya. So peaceful. . . 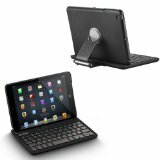 I bought my husband a Logictech Keyboard Cover for his iPad for Father's Day, so he bought me one for my mini. I LOVE it! It's a sturdy case with an easy-on, easy-off keyboard. The iPad fits in nicely in a groove making just the right angle for viewing. The keys are small so it's an adjustment to learn the new keyboard spacing, but it's doable. All-in-all, I enjoy using it rather than the on-screen keyboard in the iPad itself. Then, today, I received a complimentary keyboard to review: the ArcLight Wireless Bluetooth Keyboard Case. The biggest obstacle I had to overcome when reviewing this keyboard ($52.95 List/currently $29.95 on Amazon) was the fact that I’ve been using the Logitech ($79.99 List/currently $69 on Amazon) for the past two months. This is like comparing a diamond to cubic zirconia! There is quite a bit of price difference. Therefore, to make it fair, I’m going to tell you what I like about the ArcLight and what I don’t. What you spend on a Keyboard Case is up to you. Everyone knows that, in general, you get what you pay for; and this is true for electronics, as well. 2. Pairing: Pairing was a cinch! So easy – just turn it on, turn on your iPad’s Bluetooth, enter a code and it’s done. 3. The Keys: Because the iPad Mini is so small, any keyboard you buy will also be small. Therefore, manufacturers tend to eliminate some of the keys and move others around to accommodate this small space. On the ArcLight, however, most of the keys are there and in the right location. The only major differences are the brackets, question mark, quote marks, apostrophe, and lines. (These keys are combined with other letters and require the use of the fn key.) The ArcLight includes an option and command key on both sides of the space bar, and it has arrow keys in the right place. The delete key is bigger than most other keyboard cases, which is nice. However, because it retains these keys, the space bar is much smaller, the keys are smaller and have less space between them than other keyboards. This makes touch-typing awkward, if not impossible. I honestly don’t think a person with large fingers could do touch-typing on this unit. However, if you have small fingers or prefer to use the hunt and peck method, you should be able to adjust to the keyboard. For me, I use the question mark and apostrophe frequently and found the use of the fn key too frustrating. 4. The Bottom Line: IF you’re on a budget, the ArcLight may meet your needs. You can't even go out to dinner today for $29! I do recommend that you try typing on it first to make sure your fingers will fit the keyboard, if that's important. If you have a bigger budget, however, I recommend you buy the LogicTech. It's a better quality cover, easier to put on and take off, and the keyboard is better for touch typing. I Choose C - this is funny! There's a lot of controversy these days about Common Core. I don't know enough about it yet to make an intelligent decision on which way I would like to see our education system go. I am still in the process of finding out more about it. However, I did find this video online and I think it's hilarious! I do like the idea of incorporating more real life learning in school as Common Core seems to be addressing; however, I don't want National control of education. The government doesn't need one more thing to mess up, make more expensive, or to regulate according to an elite few. I also don't like the way kids now have to learn algebra in 3rd, 4th and 5th grade. I've personally worked with kids who can't do basic math like multiplication, convert fractions to decimals, or understand place values; yet they are forced to move ahead into advanced math and getting bad grades. They come to me feeling "stupid," when they are not. They just need more time on the basics. In addition, some of these kids have gifts in other areas that are never being developed for lack of time. Are we only going to allow STEM (Science, Technology, Engineering and Math) related occupations? No more artists, farmers, musicians, hairdressers, actors, mechanics, English professors, history teachers, and small business owners? I'm a strong believer in customizing curriculum according to a child's gifts and interests. We don't make everyone take advanced art lessons or learn the Etmology of words - why should everyone have to take advanced math and science? Why do we think one is more important than another? Yes, you might make more money (currently) from a STEM education, but will you be happy? Isn't that important, too? That's my two cents on Common Core for today. Maybe I'll write more when I learn more about it. As I have gotten older, it's been harder and harder to keep my weight off. I have bounced around back and forth, first gaining weight, then losing weight. Every time I lose, something happens that gets me off track and back up I go. This time, it's been way too much! So, I'm on a new weight loss program. I'm using MyFitnessApp to track food, walking my dog and going to the pool. I even attached a weight loss logo at the bottom of my blog to help me remember to keep it up. I started a week ago and have lost the easiest - the first five pounds. Now comes the hard part! Are any of you having the same problems? How do you motivate yourself to STAY ON the program? Here's how it works: Measure out 2 oz of spaghetti or angel hair pasta using the round handles as a guide, place the pasta in the boat, fill the boat with water up to the line, put the lid on, and put it in the microwave for about seven minutes (for angel hair pasta). That's it! When it's done, you drain the pasta using the built in lid and then serve. No extra dishes needed. No spoons or forks needed either because there's no stirring and forget the strainer. It's not needed. How easy is that? 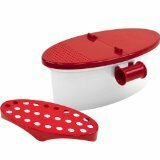 The Pasta Boat cleans in a jiff in or out of the dishwasher! I love this so much I'm seriously thinking of buying some for Christmas gifts. Best purchase I've made in kitchen gadgets in a long while! A nice diversion . . . I just finished reading Trouble in Store by Carol Cox. This is one of those fun books – the kind of book you read when you have a few hours to sit back and enjoy a good story. Trouble in Store is a historical romance with a dash of mystery. The main characters Caleb Nelson and Melanie Ross are joint owners, by inheritance, of a mercantile in Arizona. Caleb wants Melanie out of his store, and Melanie wants to show Caleb how a mercantile should be run. Meanwhile, while they’re fighting it out, they are also falling in love. To make the story more interesting, there’s a murderer in their midst AND someone is trying to put their store out of business. Could it be the same person? You’ll have to read it to find out. The plot is not deep or thought provoking, the mystery is not too difficult to figure out, and the ending is a bit predictable, but it is a fun story. It’s just a nice way to pass a few hours and come away feeling good. Note: I was given a copy of this book for free for an honest review. Field Day - My Other Life! Want to know about my other life as an ham radio operator? Come by and visit me at Field Day. This weekend, June 22 and 23, bring your kids to Field Day where they can talk to ham radio operators and even talk on the radio themselves! This is a chance for both you and your kids to learn a bit about electricity and communication, talk to some storm spotters, and find out about a fun hobby, ham radio. It's crazy fun! Field Day is held all over the country. You can log on to the ARRL site (http://www.arrl.org/field-day) and find one near you. For those of you in the Tulsa area, my club (Broken Arrow Amateur Radio Club) will be setting up mobile units and antennas at Asbury Methodist Church (in the field by the garden center) on Mingo and 71st Street. There will be tents, motor homes, and trucks with equipment set up and ham operators talking. Just walk around, come on in and take a tour. Very informal. We will start operating from 1pm Saturday through 1pm on Sunday (24 hours of continuous operations). Come by and say hi and talk on the radio! You might even get to talk to someone in China or Australia! I'll be there for sure from 4pm to 7pm on Saturday. Not sure about other times. But you can go anytime. All these folks are very friendly and love to show off their "toys!" I like books for kids that not only entertain, but also educate. Wisdom, the Midway Albatross by Darcy Pattison does just that. This 32-page picture book tells the story of an albatross that was banded in 1956 and was last seen in December 2011, 60 years later. The rhythmic text will keep children interested as they listen to the story of how Wisdom survived through natural predators, earthquakes, thunderstorms, ecological disasters, fisherman’s lines, and the tsunami that hit Japan in March 2011. The illustrations, I believe, are watercolors and beautiful. However, it’s hard to illustrate a book that takes place mostly on water and not get a bit repetitive. The illustrator, Kitty Harvill does a good job by adding a shark here and an egg there, but there is still a lot of blue. I’m not sure how anyone could have done any better, but it might get a bit boring for preschool children. I recommend this book for elementary age and above, which is the age recommended by the publisher. I honestly think even older kids and adults would like the book because of the topic. I really enjoyed it! 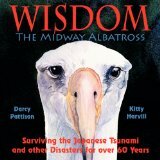 For my friends who teach school or homeschool, Wisdom, the Midway Albatross is perfect for a unit study on birds, ecology, weather, and Japan, or for a student who just wants to know more about the albatross. 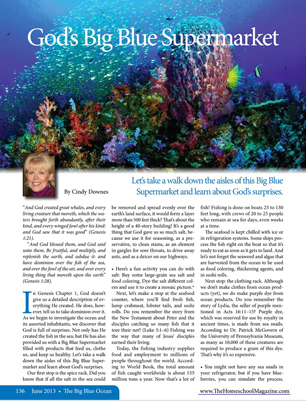 The Old Schoolhouse Magazine just published my article, God's Big Blue Supermarket (June 2013). This was a fun article to write as I directed it more to students. My goal was to help them see the value of our ocean and its inhabitants. You can read the article in its entirety on The Old Schoolhouse Magazine website, along with other excellent articles written especially for home educators. I hope yo enjoy it! Today, I was interviewed on Channel 17 here in Broken Arrow, OK. They are doing a series on education, so they asked me to answer questions about homeschooling. I followed the Superintendent of Tulsa Public Schools. I'm not sure how they will show these segments, but my segment will be shown on June 21 at noon. I am definitely NOT Ophrah Winfrey, but I did make it through. Interviews are NOT my favorite thing to do. In fact, I usually turn them down. Some people speak; others write. I prefer to write! However, I agreed to do this one as I wanted to share the benefits of homeschooling as well as get the word out about my website and my tutoring at Cornerstone Tutorial Center. I was interviewed by OETA (local PBS station) several years ago; however, I was not the main subject. They interviewed me for over an hour, but only used one or two minutes of what I said! So that's my three claims to fame. I don't think I will quit my day job for TV! I don't write much about my pets on this blog. I mostly do that on Facebook, but I thought it was time to share a little bit about Oreo with my readers on here as well. 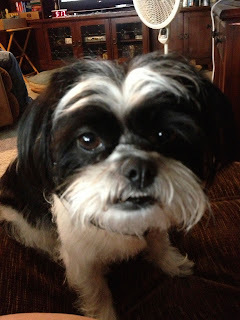 I have always had cats, outdoor farm dogs, or dogs that were someone else's pets, so I never really thought much about dogs until I got Oreo. In truth, I was looking for a cat. My husband and I had recently lost our cats and had decided we would not have any more pets so that we would be free to travel. Well, that didn't work out. My dear daughter, Shelly, brought over a beautiful black and white kitten and it began all over again. Bill fell in love with the kitten and named him Bullet, thus ending our freedom from pet sitting problems. But Bill was happy, so I got over it. Now, the problem was that the kitten was lonely; so, I went out and got the kitten a friend, Felix. Now, we have two cats. All was well until I realized that the 2nd kitten didn't like me, or anyone else it seemed. It was Bullet's cat. So, I decided to get a third kitten that would be MY cat. I went to every rescue place and pet shop in town looking for just the right cat. Then, I walked into the Humane Society and saw a crate of Shitzhu-Jack Russell puppies. Yes, I walked out with a puppy instead of a cat and fell in love! Oreo has become my 3rd child. I've never had a relationship with a pet like this one. She practically worships me and follows me everywhere. I take her with me everywhere I can. We go to Bass Pro Shop, Southern Agriculture, Pets Mart, walks in the park, day trips around Oklahoma. Bill and I have found restaurants that allow her on the patio, like Leon's on Brookside or Uncle Bucks here in Broken Arrow. We found that La Quinta will allow her to stay at no charge and even has a special courtyard in OKC with walking paths and "cleaning stations." I have even taken her on assignments with the idea that she would stay in the car with Bill while I did the interview, but it always worked out that the person I'm interviewing allowed Oreo to tag along. She's been on a Pontoon Boat at Lake Tenkiller, a guest at the Chisholm Trail Heritage Center in Duncan, OK, and even got to stay in a lake cabin with me! My son, who babysits her when we can't take her with us, took her to a painting festival where she got to paint with her paws! This dog has more adventures than some kids! So the bottom line is that I'm now a dog person. I still love cats, but this dog has stolen my heart. Now I know why old people love their pets so! I have 34 students signed up for classes this fall so far. We have another registration in August, so I will probably get a few more. Now, it's time for me to get to work. I am teaching a few fun classes for elementary students this year: a class about electronics and another one on Crime Scene Investigations. In addition to those, I will be tutoring elementary writing and Oklahoma history, as well as my usual middle and high school composition and Biology. My daughter, Shelly, will be tutoring with me this year at Cornerstone. That will be fun! She is just about finished her Master's Degree in English and has been an Adjunct professor at Tulsa Community College for the last year as well. She will continue that, tutor a few classes with me at Cornerstone, and also tutor for another local co-op. This is such a joy for me to get to work with my own daughter at the same school! So this summer, I will be working on lesson plans and tutoring students in math and English. I also have several magazine articles to finish up before school starts. It will be a busy Summer! Sweet Mercy by Ann Tatlock is not only a wonderful book, but it will give you a lot to think about. At first, I had trouble identifying with the main character, Eve Marryat. The story takes place in 1931 during Prohibition and the Great Depression. Because I live in post-prohibition, I just could not identify with this character’s strong aversion to alcohol being bought and sold in stores. However, Tatlock did such a fabulous job of writing that it wasn’t long before I could see and feel the events through Eve’s eyes. I understood what she and the other characters were going through and sympathized with her pain. I also learned a lot about this historical period; things I never learned in history class. Never before had I grasped what the average citizen went through during this period of time when gangsters, bootleggers, bank robbers, money launderers, and corrupt lawmen ran the businesses, the banks and the local government. When the average citizen watched people get gunned down in the streets right in front of them and car bombs were frequent events. When advertisements in the paper read, “Bullet holes rewoven perfectly in damaged clothes.” I just never knew how corrupt it was. It made me begin to wonder what will happen to our country if gun laws get passed. Will we go through a Gun Prohibition that will be similar to the Prohibition in the 30s? Perhaps we need to reread our history a bit more closely and think about the long-term effects of passing laws like this. Although the book is an eye-opener about the Prohibition era, it is in no way a boring read, nor is it depressing. It is a coming-of-age story, a love story, and a story of mercy. It has a surprise ending that made me both laugh and cry. After I was done, I went back and read parts of it again. That's how much it affected me. Sweet Mercy is the perfect title for this book, too. You'll see what I mean when you read it. Trust me, you don't want to miss this one! NOTE: I received a free copy of this book from the publisher for the purpose of writing the review; however, this in no way reflects my review of the book. My opinions are my own, good or bad!